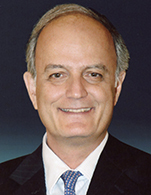 Managing Director of Anangel Maritime Services Inc.
John Platsidakis has been the Managing Director of Anangel Maritime Services Inc. since January 1989 and Chairman of Intercargo since October 2012. He is also Member of the Board of Directors and the Executive Committee of the Hellenic Chamber of Shipping, the Board of Directors of the Union of Greek Shipowners and the Council of Intertanko. John Platsidakis holds a bachelor Degree in Mathematics from the University of Thessaloniki, a Master's Degree in Operational Research from the London School of Economics and Political Science and a Master's Degree in Economics and Econometrics from the University of Southampton. He was also Founding Member and President of the Society of Greek Alumni of the London School of Economics and Member of the Advisory Board of the Hellenic Observatory at the European Institute of the London School of Economics.